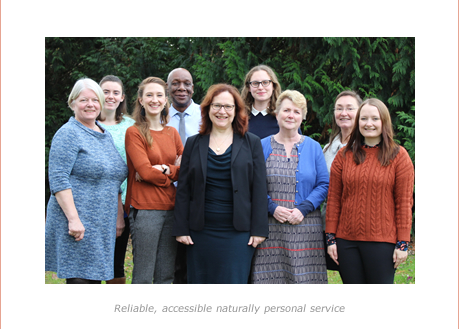 Julie West Solicitor is an independent specialist legal practice based in Leatherhead, Surrey. The practice is particularly geared to the needs of individuals and small businesses. Our aim is to offer our clients a bespoke service at a realistic price. Over the years we have earned a reputation for being expert, meticulous and professional. Our solicitors have many years of experience. We can assist with all aspects of residential and commercial property, lifetime planning and administration of estates. We are accredited under both the Law Society’s legal practice standard, Lexcel, and the Conveyancing Quality Scheme. These quality marks show that we mean business and can be trusted. We do not dabble, we are experts.